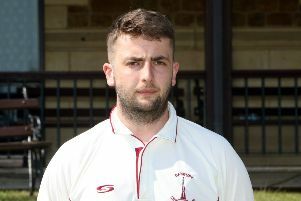 Banbury overcame a battling collapse to beat Horspath by 62 runs in Saturday’s opening Home Counties Premier League fixture. Luke Ryan’s side slumped to 46-5 in the division one fixture at White Post Road with Ian Tew 14 the only batsman to cope with the conditions and the Horspath attack. Will Briggs 36 and Ashley Blanchard 22 produced a stand of 46 for the seventh wicket which helped take the hosts on to 121 when their innings ended in the 41st over. Lloyd Belcher took 4-18 for the visitors who also struggled in reply and were reduced to 28-5 before they rallied. But wicket-keeper Tim Paine was in top form as he took four catches and produced two stumpings while Karl Penhale 4-11 and Ollie Wright 3-11 did their bit with the ball to dismiss Horspath for 59 runs in the 29th over.